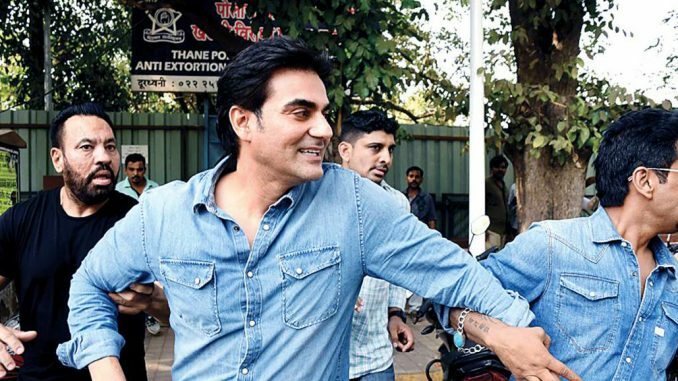 Actor-director-producer Arbaaz Khan got into national spotlight this week with the Anti-Extortion Cell (AEC) of Thane Crime Branch summoning him over betting in Indian Premiere League (IPL) cricket matches. When Arbaaz confessed to the police that he had placed IPL bets, there was a huge uproar in the media. Discussions in the mainstream media followed heated debates among Arbaaz’s megastar brother Salman Khan fans and haters on social media. Meanwhile, rumours stating that Arbaaz’s relationship with Salman was soured, only added fuel to fire — though Arbaaz was seen being escorted by Salman’s bodyguard Shera when he went for the questioning. However, it seems that the media jumped the gun in favour of scandal. Just as it often happens in Salman’s cases, the media was too eager to pan the actor’s brother. Latest reports reveal that though Arbaaz admitted to placing bets, he claimed that no monies exchanged hands with the betting bookie in question. Resultantly, the actor will not be booked by the police. We asked Bollywood PR guru Dale Bhagwagar about the media’s eagerness to grill and pronounce actors guilty. He said, in this matter, both the parties were only doing their job. “While Arbaaz proved to be a dutiful citizen, the vibrant media proved to be on their toes with reporting. The good part is, the truth came out fast, without Arbaaz being persecuted with trial-by-media and without the issue and speculations being dragged for long,” remarked the Bollywood publicist.